Portable kitchen island ideas with seating – Kitchen island is a freestanding piece of cabinetry that is placed in a kitchen to supplement the countertop space. A kitchen island is not of limited or spesific dimention. It can be sized appropriate to the kitchen space available. There are many benefits of kitchen island such as storage place or other functionality. When we cook, we need storage place at the pivot point between your kitchen’s cooking, cleaning, and food-prep zones and that’s when kitchen islands we needed most. Kitchen island also being a visual anchor in the area and increase the space’s functionality and efficiency. In modern design, kitchen island also become subject for interior designer to experiment. Many variation of kitchen island used, from simple worktable to modern-design island with many portable adds-on. 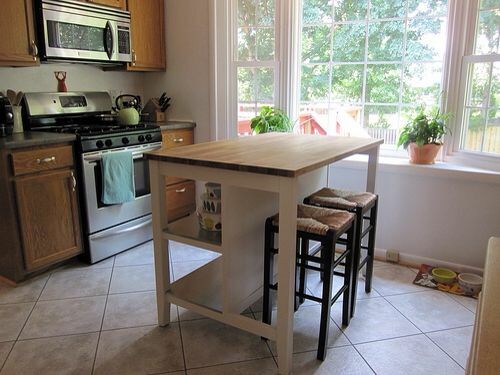 You can build your own portable kitchen island to maximize your own need too. We gatehered 25+ great kitchen island ideas as an inspiration, especially for portable kitchen island with seater (for two people, four people, six people and more). A great kitchen island is the one that have many function, yet it’s efficient. These kitchen island is one of the example with its minimalist design and not waste many area. There are two seating too as additional function. 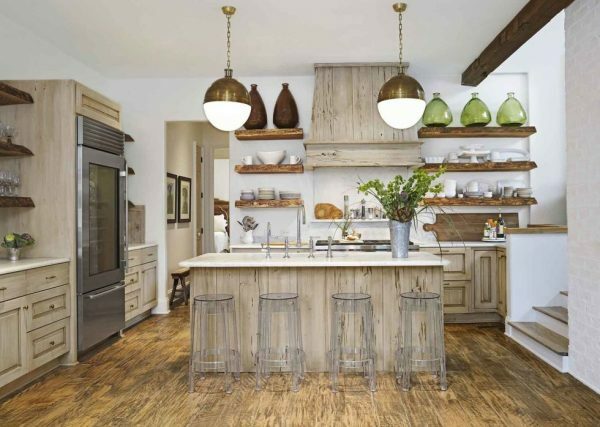 This kitchen, with its quartz countertops, copper light fixtures, subway tiles and a cypress kitchen island, is proof that mixing textures and materials is a winning design strategy. 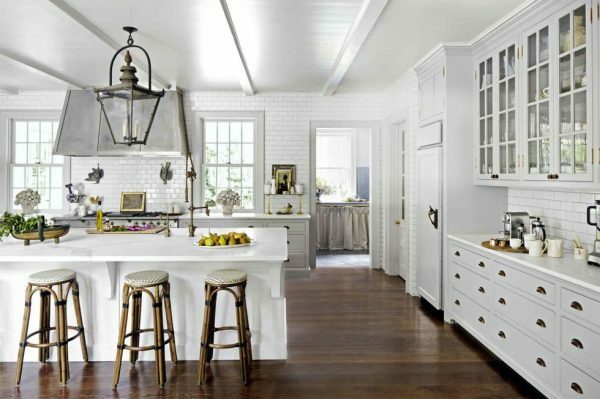 White is one of the most favorite color of kitchen island. It work perfectly if you add a dark floor stain to your kitchen floors. This white island is one of the alternative choice. In this Grand Torino Kitchen Island with seating of 2 stools, they have blended attractive design with modern functionality that will take your kitchen from regular to royal. 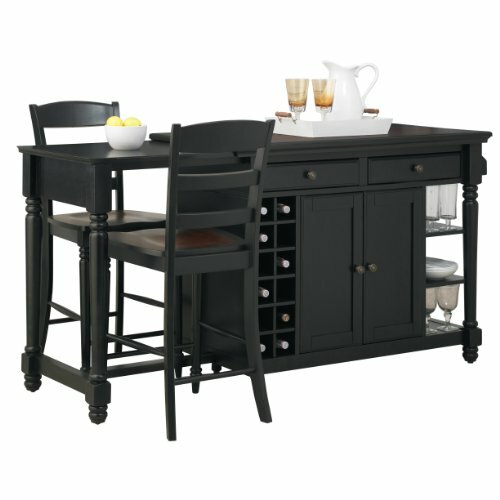 This is one of the best kitchen island ideas with four seating. Not only we can used it as storage, we also can use it as dining table or even meeting place. Confuse what color you pick as kitchen island ideas, white or black? Why not both? This dark-walnut floors, green soapstone counters and custom stools bring weight to the kitchen’s white island. This is one of portable kitchen island ideas with creative seating and become your alternative. 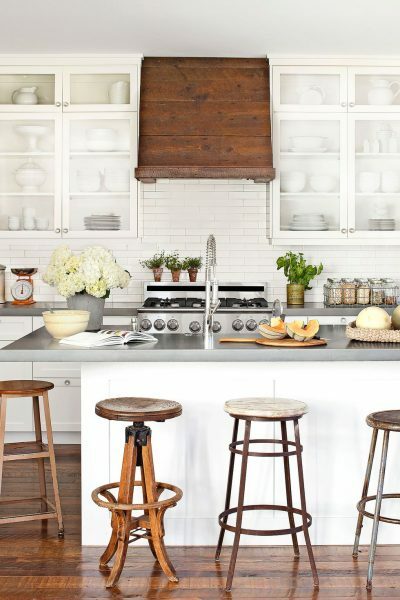 An assortment of old stools provides quirky charm in the kitchen. Not only color and design, the texture of island is also important. Seen here on the hood and island, pecky cypress is a type of wood that has a grainy texture thanks to long, narrow burrows or cavities. 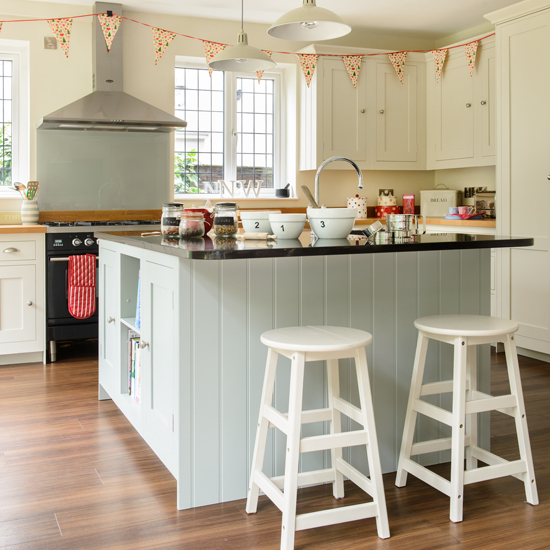 This fiesta weathered kitchen island is example of simple kitchen island, yet it still maintain its function. There are other additional function such as two seating and storage in both sides. The combination of color between wall, floor and island is important to give aestethic view. 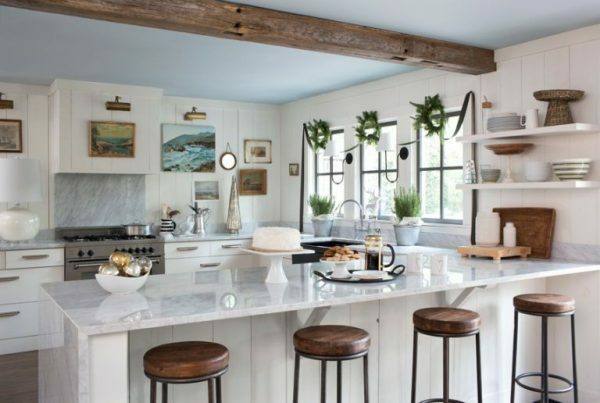 To contrast the sweeping wood-paneled ceilings and dark wooden floors, we can selected cool-toned Carrara marble for the kitchen’s countertops. 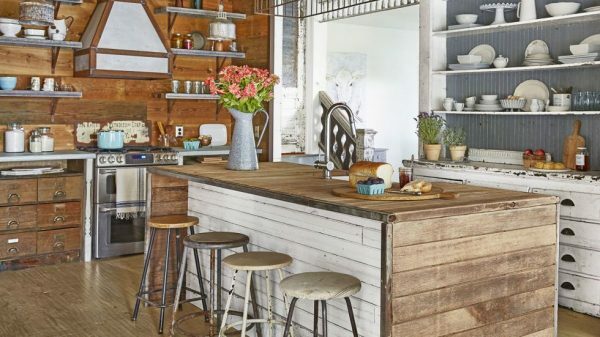 This portable kitchen island using a thoughtful mix of materials from reclaimed walls for their kitchen island. It will give you Texas-theme island that can be your inspiration. 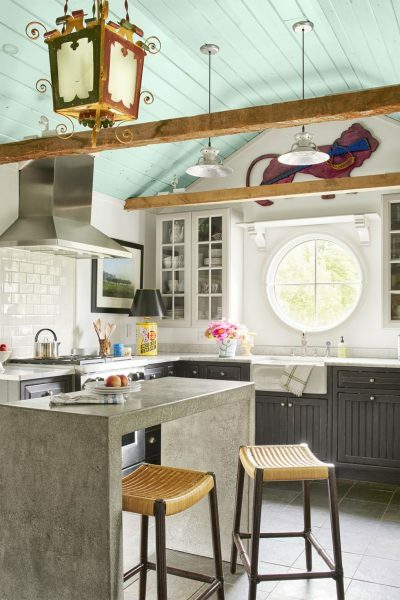 This kitchen island have the blue-and-white French bistro stools and sky-blue walls with a mossy green island. The seating also unique and eye-catching. 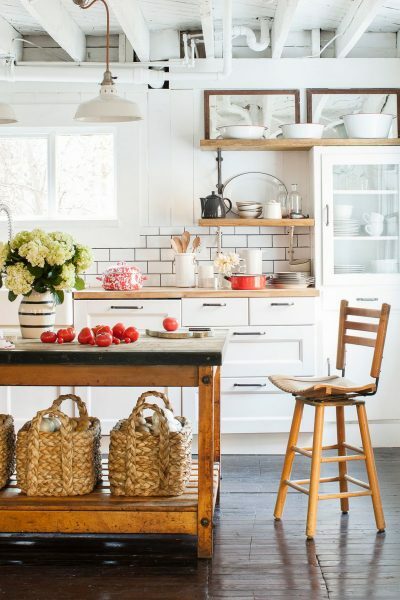 This is example of light, bright and white kitchen island ideas that can be your inspiration. Its design is simple and straightforward with two seating as additional function. 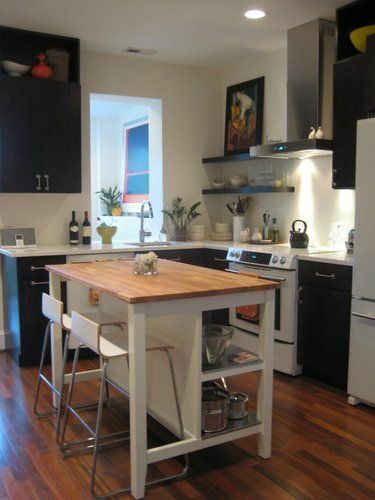 Looking for small kitchen ideas with two seating? This island maybe is your alternatife. Rafters swathed in a dreamy shade of blue makes the room feel like it stretches to the sky, while a minimalist island grounds the space in this cottage. 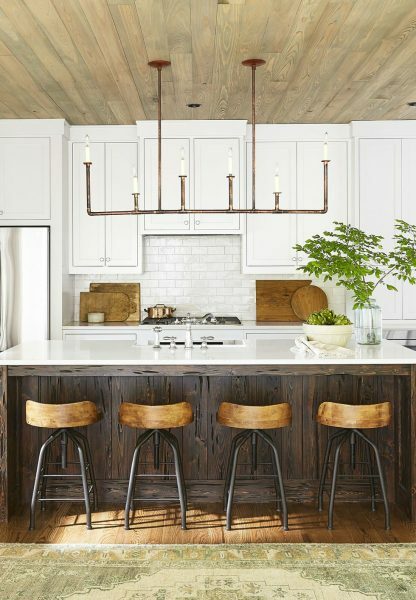 With still-functioning pulleys, these industrial and salvaged light fixtures make for eye-catching and hardworking task lighting above the island in this coastal cottage. Everyone love black. This black-theme kitchen island is one of the best kitchen island ideas you can get. With two bar-style seating and gold-like furniture, this kitchen island can be your alternative. You can always maximize small area as your kitchen island. 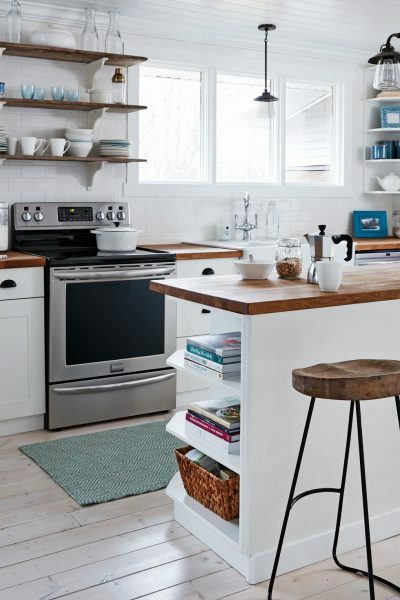 The 16-square-foot island makes smart use of corner storage and prime examlple of best small kitchen island ideas. You can combine kitchen island with bar. 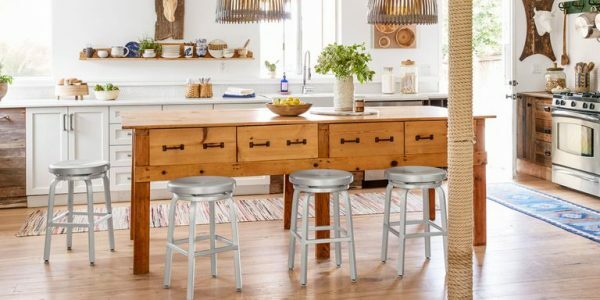 This kitchen island ideas cobbled together four wood-and-metal barstools to create iconic seating around kitchen island. The first you sight, you will focus on its colorful seating right? 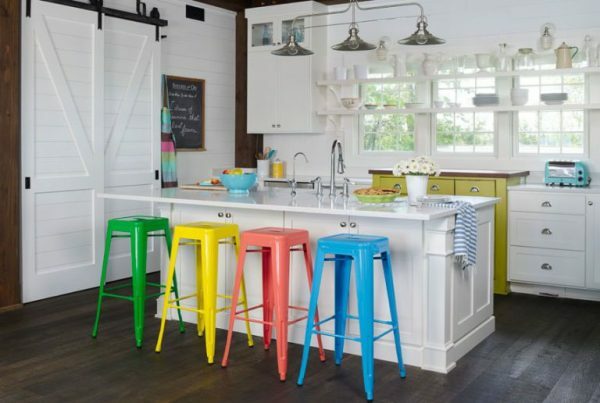 Zippy bursts of solid colors, like the row of candy-hued stools at the kitchen island, are lively without overwhelming the kitchen. Its best suit if you like colorful theme. Don’t mess with brown. Brown can make perfect interior design with little modification. This brown kitchen island ideas is one of the example. You can utilize many things to your kitchen island, like this example. 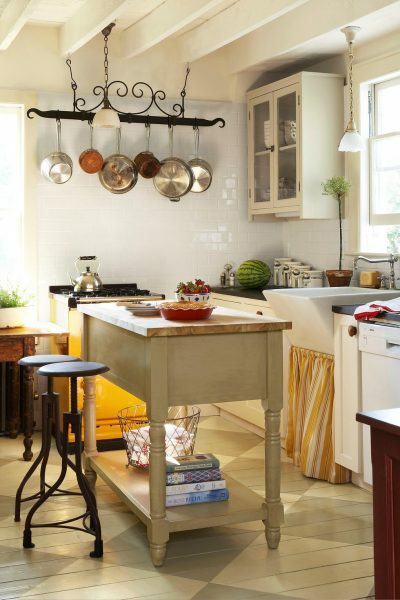 An antique bakery table, equipped with Pottery Barn baskets, functions as the kitchen island. You can pick kitchen island and still add extra space. 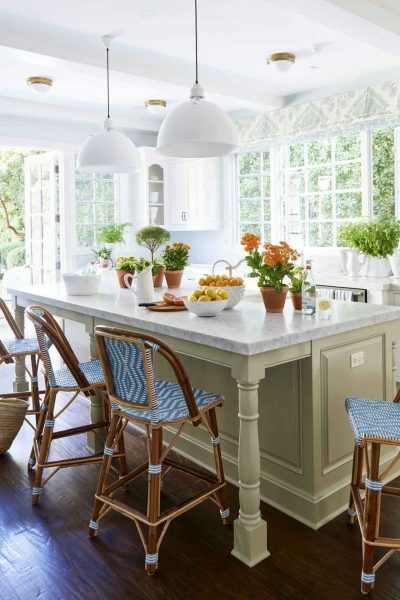 The spindle-leg stools that surround this kitchen island are hand-me-downs from the homeowner’s parents. Something classic? Something futuristic? Why not combine both? 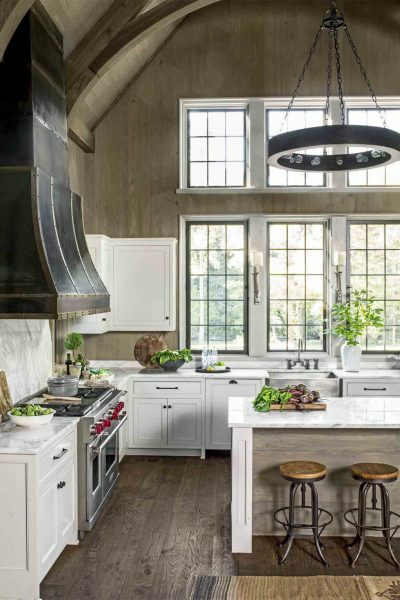 This classic country details with a barn-wood island, an apron-front sink, and beadboard cabinets provide a warm contrast to the futuristic-style stainless steel appliances. Kitchen island main function is as storage place but you can still maximize it to add extra storage. 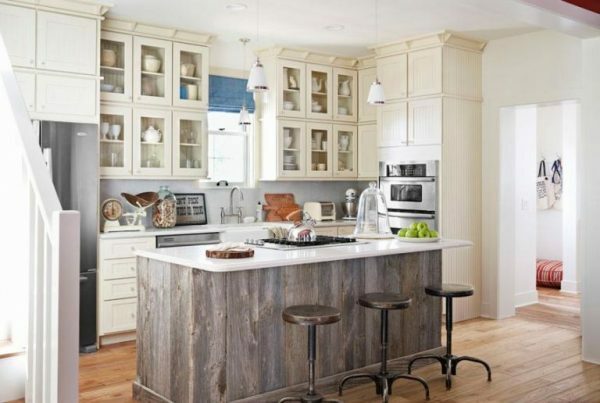 A custom-made cupboard and plate rack offer original storage strategies, as does the open shelving below the island. 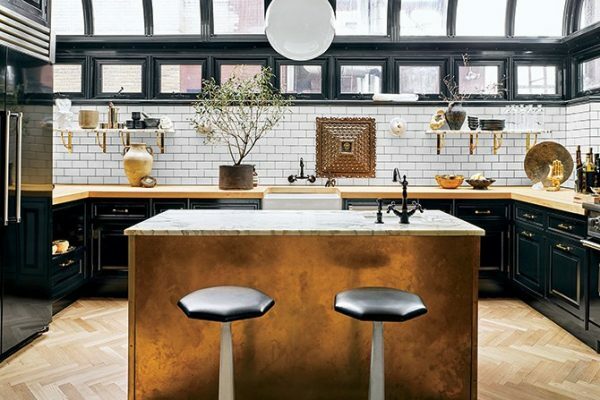 With lots of white subway tile, soapstone countertops, and a bold yellow stove, the space feels old and new at the same time. 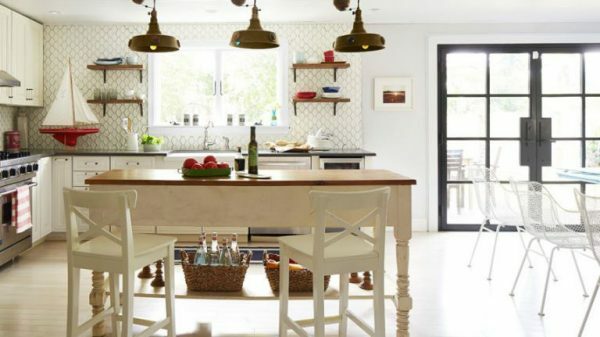 Those are 25+ portable kitchen island ideas with seating that can add your inspiration.